Prepaid Cards for Teens – Is it A Good Idea? As a parent, you’d never want to see your teen going through a credit crash, and you would do anything literally to teach your child how to manage finances. When a person turns 18, he can then get his very own credit card with a certain limit which can be anywhere from hundreds of dollars to thousands and for a lot of teenagers, this is one of the best parts of turning 18 but what they don’t know is the cost which comes with these credit cards. Yes, you read it right and here by that “cost” we aren’t talking about the fees or anything, in fact, here we are referring you to the time when you have to pay all the money back to the bank. What teenagers do is that they think that the money that comes with the credit cards is “their” money which is where the problem begins. These people are supposed to understand the fact that having a credit card no doubt is a great thing as you can use the money anytime you want to but one should not just start depending on that money because that can be problematic especially when you have to pay the money back altogether. As a parent, you’d be thinking that there has to be a solution to this problem and there has to be something that can help their children in controlling their finances. Well, guess what? There definitely is a solution, and that solution is a prepaid card. A prepaid debit card can be the best option you and your child will ever opt for. 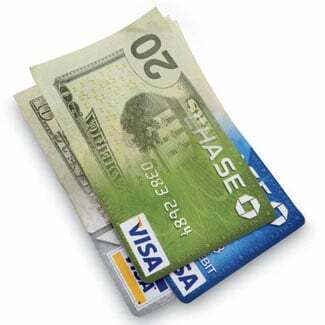 For those who don’t know, a prepaid debit card works on a rule in which you first submit a specific amount of money to the card service provider and then you use that money whenever it’s required. You can start with as less as $25, and you can increase the limit just as you want. You can easily purchase a debit card from your nearest store, and if you want, you can get it online too. The wiser thing to do is first to compare prepaid cards and then choose one that meets your requirements in the best possible way. As a parent, you can open up a prepaid debit account for your teenager and then you can submit a specific amount of money in it and then give the pin code to your kid. This way he will know how to manage his expenses within a given amount, and this will help you in teaching him some financial responsibility. The main con of a prepaid card is the fees that you have to pay on top, but this fee is worthy of the benefits with which it comes. Yes, prepaid cards for teens are definitely a good idea, and you should opt for them instead of letting your teenager use a credit card that comes with fees and some serious stress too. They can come in handy to you if you want your child to manage his expenses in the best and the quickest possible way.